← Well, here we go. 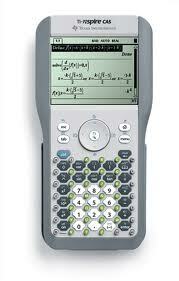 When I began teaching high school mathematics in 1988, there were no such things as affordable graphing calculators. A mere four years later, I had a classroom set of TI-81 graphing calculators. Actually, in my second year, one of my Honors Calculus students showed me his HP Graphing Calculator. It looked nothing like what we would all soon know as graphing calculators. It had this tiny screen that handled about four lines of text – amazing by 1989 standards – and it had two keypads that were connected across a folding spine. Amazing! So, five years into my teaching career, I have this classroom set of graphers – TI-81’s. What was I supposed to do with them? I mean, I had taught Algebra 1, I knew what the kids were supposed to learn. They had to learn how to draw graphs of lines. They had to learn how to manipulate symbols. How was this new device supposed to help without undermining me? I didn’t have a clue. Sure, it was cool, but the kids were supposed to be able to manipulate a pencil and a ruler – not this new, cool device. It’s not that I was anti-calculator; I was new. And I didn’t want to lose my job. But this was too interesting a tool not to use. So I learned. I read – journal articles. It was 1993, after all. Web? What’s that? 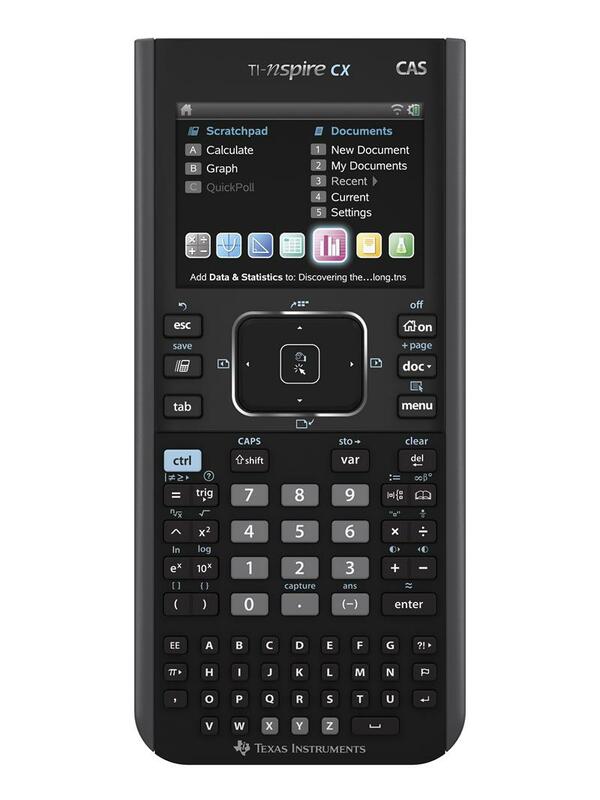 I bought my own graphing calculator: A TI-85. I know a lot of people didn’t like that model, but I did. I liked the menus. I liked what it could do that the TI-81 couldn’t. But it was more expensive, so schools went with the TI-81, which evolved into the TI-82, TI-83, TI-83 Plus, and TI-84 Plus Silver and TI-89 Titanium. That line has been pretty much developed out. It’s where we are right now. We’re comfortable. We know how to use them – as teachers, as students, as test developers. We use them to analyze graphs, to solve systems of equations, to crunch data, and manipulate algebraic symbols, if we have a CAS. In 2006, I received an invitation to participate in a field test of a new piece of TI classroom technology: The TI-Nspire. Never heard of it; jumped at the chance. It was both co mputer software and handheld device. Literally. The first exposure my students had to the TI-Nspire was at a computer in the lab. At the time, I couldn’t imagine how this new tool would revolutionize my classroom. 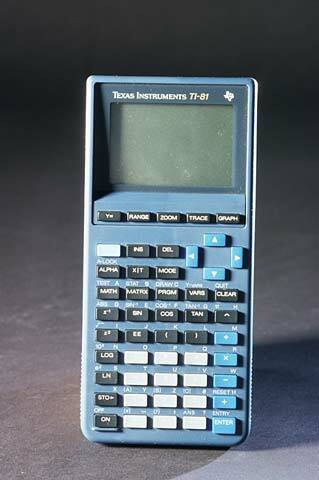 Frankly, the first models were so clunky, that I just wanted my TI-84 Plus Silver. But they (at TI) listened to us – we teachers in the field test and my students, too. There were some things were really didn’t like – those green alpha buttons – and things we really liked – being able to grab and move function graphs around, for example. Think about that for a second. We could grab a graph and move it around the screen, changing the slope or changing the y-intercept. As we did that, the function rule would change. That means that I could graph a line, grab it, move it, and see the effect on the rule. Holy cow! That’s a game changer. There was so much that this new device could do, my head was spinning. After all, it’s just a tool. If I can’t use it to teach something, then what’s the point? How was I to make the best, most effective use of this new tool? Still working on that. Every day. Thanks for being almost as old as me. That first HP calculator I had cost about $300 and did what a $10 one does now. But in 1976 it was fantastic. I was observing to someone today that all my computers have cost about $1000, beginning with the Tandy 1000. My kids mock me, but do have to acknowledge that they, at 23 and 25, have had access to a computer since they could sit up. So I should get more points than them, for my learning curve. 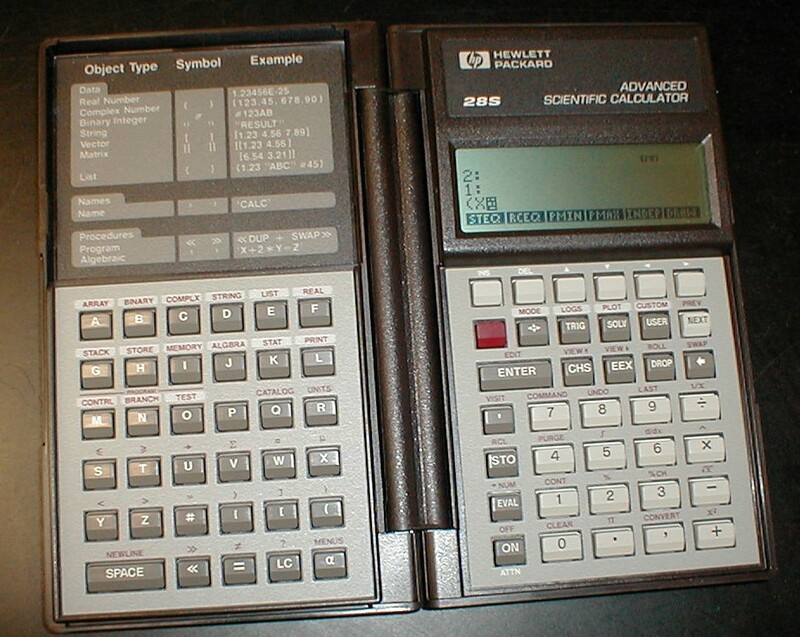 I got my first calculator in high school (so I never learned how to use a slide rule or “extract a square root”). My dad was a freak for electronics – he bought me that calculator (a TI-28 scientific, I think) – he bought a “Bowmar Brain” sometime around 1970. I think it weighed 3 pounds, did all four functions, and only cost him about $300! I wish I had it today, though. I agree with you, though. If we “dinosaurs” are flexible in our thinking and learning, then we do get more points than the “digital generation” whom I find to be fairly rigid in their thinking. Glad to see someone else about my age and teaching experience (I started in 1992)! I have the same issues in my head that you talk about in the final sentences of this post. What’s the point of having it if you aren’t using it? I struggle with how do you use it without losing sight of the mathematics that students are supposed are to be learning? I’m still of the school of learn it by hand and then bring in the calculator. What’s the best way? Still looking for good answers. Welcome to the Math Twitterblogosphere! I’ve been using the TI-Nspire for the past few years. It’s a great resource to introduce and investigate concepts. So, it enables us to go back and forth between technology and paper-pencil. Sometimes, it’s easier to investigate a pattern by using the TI-Nspire to look at lots of different cases and then come up with a general rule. Then we have to prove that our rule will always work. It’s a great combination of technology, reasoning, and communication. Of course, I’m still looking for those good answers, too.